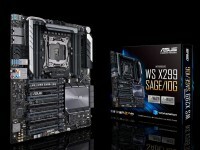 A few months ago, ASUS has revealed the full specifications of its WS X299 SAGE 10G motherboard. This model belongs to the high-end series and it's recommended for Core i9 processors. Like the previous model base on Intel X99 chipset, the upcoming WS X299 SAGE 10G sports the company's highest-grade eletrical components. 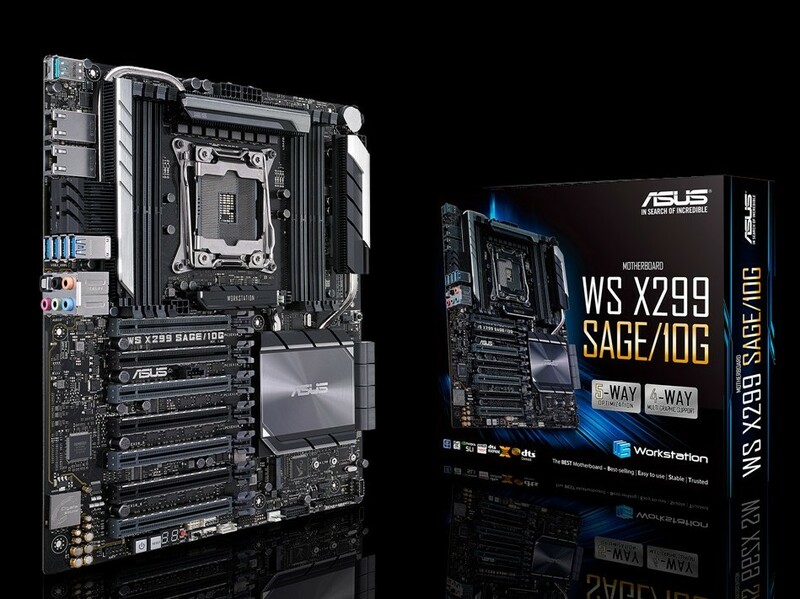 Meanwhile ASUS has refreshed the WS X299 SAGE with dual 10GbE and improved VRM design. Like the same model from the previous generation the WS X299 SAGE 10G is based on an CEB form factor. There are seven full-sized PCIe slots with steel reinforcements. Compared to the previous version, this WS X299 SAGE 10G features a heavier and bigger CPU VRM heatsink that is connected using two heat pipes to two solid blocks. This way the chips should receive adequate cooling. In the case of storage you'll find eight angled SATA ports, two U.2 port and two M.2 slots. Looking for additional features we find a debug display, several onboard buttons and support for USB 3.1 ports. ASUS equips the WS X299 SAGE 10G with two USB 3.1 Gen2 ports, six USB 3.1 Gen1 ports and four USB 2.0 connectors. Furthermore there are two Intel Gigabit Ethernet ports and the analogue audio panel with optical out.